I am an academic paediatric neurologist, clinical researcher, and specialist in acquired brain injury in children and adolescence. I studied at the University of Edinburgh and British Columbia before taking up my first academic position at the University of Calgary in 2002. Here I developed and directed the Traumatic Brain Injury and Concussion Research Program at the Alberta Children's Hospital and where I cemented my interest in the biology and treatment of children with brain injuries. I have extensive clinical research experience, devising and overseeing clinical trials in children both nationally and internationally. 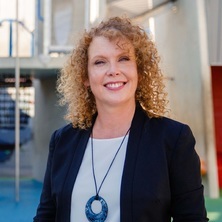 I moved to the Child Health Research Centre at the University of Queensland, Australia in October 2017 and joined the Queensland Paediatric Rehabilitation Service and Queensland Cerebral Palsy Rehabililation Centre to facilitate research into improving the health outcomes of children with acquired brain injury in Queensland and Australia. My research focuses on the neurobiological signatures and treatment of subtle neurological dysfunction in mild traumatic brain injury and concussion, especially the behavioural and cognitive impairments that are found in post-concussion syndrome. I use multimodal neurological assessments to do this. My research explores combining neuroimaging and neurophysiological investigations, including perfusion studies using MRI (ASL-fMRI) and transcranial magnetic stimulation to help us understand the changes in the brain in children who are slow to recovery following a concussion. This is to help us develop and assess more effective and tailored treatments for children with concussion and traumatic brain injury. I explore novel therapies for children with persistent post-concussive symptoms in clinical trials including the use of neuraceuticals, pharmacotherapies, and non-invasive brain stimulation treatment. I am the director of the newly-established KidStim Lab at the Child Health Research Centre. This is the first non-invasive neuromodulation facility aimed at improving the health outcomes of children with brain injury in Australia and is led by a mulitdisciplinary team of clinicians and scientists from Brisbane bring a unique clinical and scientific knowledge-base to help achieve our goals. Rehabilitation therapy in combination with repetitive transcranial direct current stimulation (rTMS) and other direct current stimulation modalities (e.g. tDCS) will be explored. It also offers the potential for treatment of the mood and behavioural disorders (e.g. depression and anxiety) commonly seen after brain injury but also so disruptive to the life of the normally developing teenager. Incorporating a computerized cognitive battery into the emergency department care of pediatric mild traumatic brain injuries—is it feasible? Samuel, Tina, Lockyer, Lisette, Turley, Brenda, Bodell, Lisa, Yeates, Keith and Barlow, Karen (2017). Curious about concussions: An evaluation of an education session about concussion and mild traumatic brain injuries management. In: Brain Injury. , , (756-757). .
Do Pre-existing Psychological or Neurodevelopmental Problems Predict Long-term Functioning in Children and Adolescents with Prior Concussions? Khetani, Aneesh, Hu, Sophie, MacMaster, Frank P., Bray, Signe and Barlow, Karen (2017). Evaluation of a visuo-spatial n-back task in FMRI to examine working memory network activation in children following a mild traumatic brain injury. In: Brain Injury. , , (977-977). .
Godfrey, Heather, Samuel, Tina and Barlow, Karen (2017). Improving paediatric concussion care through knowledge translation and confidence building in paediatric emergency room nurses. In: Brain Injury. unknown, unknown, (851-851). unknown. King, Regan, Seeger, Trevor, Zewdie, Ephrem, Ciechanski, Patrick, Damji, Omar, Kirton, Adam, Barlow, Karen and Nettel-Aguirre, Alberto (2017). Longitudinal follow-up of cortical excitability in paediatric traumatic brain injury. In: Brain Injury. , , (955-956). .
Yan, Tingting, Carlson, Helen, Lebel, Marc, Beutle, Alexander, Khetani, Aneesh and Barlow, Karen (2017). Quantifying cerebral perfusion changes over time during recovery from a mild traumatic brain injury in children. In: Brain Injury. , , (949-949). .
Park, Sarah (Suhyeon), Goldstein, Genevieve, Ofoghi, Zahra and Barlow, Karen (2017). Watch me go: Activity in children following concussion and its association with outcome. In: Brain Injury. , , (946-946). .
Barlow, Karen, Lorenzo, Marcil, Calson, Helen and Marc, Lebel (2016). Cerebral Perfusion Changes in Children with and without Post-Concussion Syndrome Following a Mild Traumatic Brain Injury Using Arterial Spin Labelling. In: 68th Annual Meeting of the American-Academy-of-Neurology (AAN), Vancouver Canada, (). 15-21 April 2016. Barlow, Karen, Lorenzo, Marcil, Calson, Helen and Marc, Lebel (2016). Cerebral Perfusion Changes in Children with and without Post-Concussion Syndrome Following a Mild Traumatic Brain Injury Using Arterial Spin Labelling. In: Neurology. 68th Annual Meeting of the American-Academy-of-Neurology (AAN), Vancouver Canada, (). Apr 15-21, 2016. Barlow, Karen, Lorenzo, Marcil, Calson, Helen and Marc, Lebel (2016). Cerebral Perfusion Changes in Children with and without Post-Concussion Syndrome Following a Mild Traumatic Brain Injury Using Arterial Spin Labelling. In: 68th Annual Meeting of the American Academy of Neurology (AAN), Vancouver, BC, Canada, (). 15-21 April 2016. Zemek, Roger, Barrowman, Nick, Freedman, Stephen B., Gravel, Jocelyn, Gagnon, Isabelle, McGahern, Candice, Aglipay, Mary, Sangha, Gurinder, Boutis, Kathy, Beer, Darcy, Craig, William, Burns, Emma, Farion, Ken J., Mikrogianakis, Angelo, Barlow, Karen, Dubrovsky, Alexander S., Meeuwisse, Willem, Gioia, Gerard and Osmond, Martin (2016). Clinical risk score for persistent post-concussion symptoms in paediatrics. In: Brain Injury. , , (771-772). .
Seeger, Trevor, Kirton, Adam and Barlow, Karen (2016). Cortical Excitability After Mild Traumatic Brain Injury in Children. In: 68th Annual Meeting of the American-Academy-of-Neurology (AAN), Vancouver, Canada, (). 15-21 April 2016. Dunn, J. F., Urban, K. J., Goodyear, B. G. and Barlow, K. M. (2016). Using Functional Near-Infrared Spectroscopy to Map Reduced Inter-Hemispheric Connectivity in Pediatric Concussion Patients. In: Journal of Cerebral Blood Flow and Metabolism. 27th International Symposium on Cerebral Blood Flow, Metabolism and Function / 12th International Conference on Quantification of Brain Function with PET, Vancouver Canada, (293-294). Jun 27-30, 2015. Barlow, K., Crawford, S., Turley, B. and Mikrogianakis, A. (2015). The influence of pre-injury headaches on outcome following concussion in children. In: International Headache Congress of the International-Headache-Society, Valencia, Spain, (115-116). 14-17 May 2015. Barlow, K. M., Dewey, D., Urban, K. J., Seeger, T., Kirton, A., MacMaster, F., Brooks, B., Mikrogianakis, A., Crawford, S., Netel-Aguirre, A., Johnson, D., Kirk, V., Zemek, R. and Buchhalter, J. (2014). PLAYGAME: A RANDOMIZED, DOUBLE BLIND, PLACEBO CONTROLLED TRIAL OF MELATONIN FOR THE TREATMENT OF POST CONCUSSION SYNDROME IN YOUTH. In: 32nd Annual National Neurotrauma Symposium, San Francisco Ca, (A59-A60). Jun 29-Jul 02, 2014. Schneider, Kathryn, Meeuwisse, Willem, Nettel-Aguirre, Alberto, Barlow, Karen, Boyd, Lara, Kang, Jian and Emery, Carolyn (2014). Cervico-vestibular physiotherapy in the treatment of individuals with persistent symptoms following sport-related concussion: A randomized controlled trial. In: , , (796-796). .
Seeger, Trevor, Bodell, Lisa, Rajapakse, Thilinie, Lockyer, Lisette, Esser, Michael and Barlow, Karen (2014). Response to occipital nerve block after traumatic brain injury in adolescents. In: , , (832-833). .
Khetani, Aneesh, Khan, Annie, Kadoura, Basil, Narous, Mariam, Brooks, Brian and Barlow, Karen Maria (2014). The feasibility of computerized cognitive testing in the paediatric emergency room. In: , , (844-844). .
Urban, K. J., Barlow, K. M., Jimenez, J. J., Goodyear, B. G. and Dunn, J. F. (2014). Pediatric Post-Concussion Symptoms Are Associated with Reduced Cortical Communication as Detected with Near-Infrared Spectroscopy. In: Journal of Neurotrauma. 32nd Annual National Neurotrauma Symposium, San Francisco Ca, (A64-A64). Jun 29-Jul 02, 2014. Hong, Taeyoung Peter, Scurfield, Alex, Schneider, Kathryn, Narous, Mariam, Esser, Michael and Barlow, Karen Maria (2014). Vestibular dysfunction following paediatric traumatic brain injury-Prevalence and exploration of a novel diagnostic tool. In: , , (839-840). .
Kadoura, Basil, Brian, Brooks, Crawford, Susan, Mikrogianakis, Angelo and Barlow, Karen (2013). The "Good Old Days" Bias in Pediatric Mild Traumatic Brain Injury. In: 65th Annual Meeting of the American-Academy-of-Neurology (AAN), San Diego Ca, (). Mar 16-23, 2013. Barlow, Karen Maria, Kuczynski, Andrea, Crawford, Susan and Bodell, Lisa (2012). The characteristics of post-traumatic headaches in children following mild traumatic brain injury and their response to treatment. In: , , (789-790). .
Barlow, Karen Maria, Kadoura, Basil and Brooks, Brian (2012). Exploring the "good old days" bias in pediatric mild traumatic brain injury. In: Brain Injury. unknown, unknown, (789-789). unknown. Kadoura, Basil, Brooks, Brian, Crawford, Susan and Barlow, Karen (2011). Exploring the "good old days" Bias in Paediatric Mild Traumatic Brain Injury. In: , , (436-437). .
Brooks, B., Fay, T. and Barlow, K. (2010). Hashimoto's encephalopathy: a pediatric case study with pre- and post-treatment neuropsychological testing. In: Archives of Clinical Neuropsychology 2010 Annual Meeting Abstracts, Unknown, (479-479). 2010. Barlow, Karen Maria, Crawford, Susan, Sandhu, Sona and Dewey, Deborah (2009). Predicting post-concussion syndrome at three months after a mild traumatic head injury in children. In: 2nd Joint Symposium of the National-and-International-Neurotrauma-Societies, Santa Barbara, CA, United States, (A83-A83). 7-11 September 2009. Kohut, Elizabeth, Vaz, Jason A. and Barlow, Karen Maria (2008). Chronic daily headache in children attending a tertiary referral headache clinic. In: 7th International Congress on Headache in Children and Adolescents, Istanbul Turkey, (449-449). 17-21 May 2008. Barlow, K. M., Stevenson, A. S., Latter, J., Hage, B., Crawford, S., Nettel-Aguirre, A. and Dewey, D. (2007). The epidemiology of post-concussion syndrome in children following traumatic brain injury: A preliminary report. In: 36th Annual Meeting of the Child-Neurology-Society, Quebec City Canada, (S123-S124). Oct 10-13, 2007. Lee, C, Mah, J and Barlow, K (2005). A study of rehabilitative services utilization among pediatric neurosciences patients. In: 34th Annual Meeting of the Child-Neurology-Society, Los Angeles Ca, (S108-S108). Sep 28-Oct 01, 2005. Glass, HC, Boycott, KM, Adams, C, Barlow, K, Scott, J, Morgan, K, Fujiwara, M, Wirrell, E and McLeod, DR (2004). Dysequilibrium syndrome in Hutterites: Autosomal-recessive cerebellar hypoplasia. In: 33rd Annual Meeting of the Child-Neurology-Society, Toronto Canada, (S100-S100). Oct 13-16, 2004. Wirrell, E. C., Hamiwka, L. D., Blackman, M. A., Mah, J. K., Barlow, K. M. and Brisbane, J. (2004). Sleep disturbances in children with epilepsy compared with their nearest-aged siblings. In: Annual Meeting of the American-Epilepsy-Society, New Orlands La, (278-278). 03-07 December 2004. Barlow, KM and Minns, RA (1998). The relationship between intracranial pressure and outcome in nonaccidental head injury. In: Annals of Neurology. , , (554-554). .
Health service utilization after traumatic brain injury in children: what do they need and how can we help?